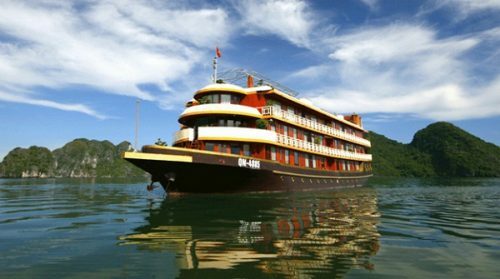 Tourist resort of Tam Coc – Bich Dong in Ninh Binh 7km from the city to the south, is a famous scenic tourist attractions such as Ninh Binh where “Halong Bay on land”. 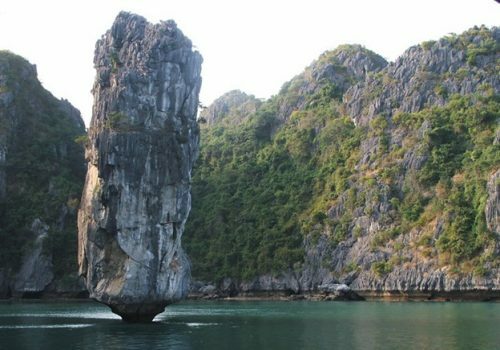 Depending on your time funds, trade visitors, tourists can take one or more online or leisure travel in the form of academic research, visit the traditional village, exploring amazing caves. Currently though Ninh Binh has many scenic but Tam Coc – Bich Dong is the oldest destinations and is the only place still wet rice cultivation. Rice is grown here only a crop of, ripening at the end of April, beginning of May Lunar and productivity is not high. Located about 15km north west Ninh Binh city, Bai Dinh Pagoda is a large pagoda in Vietnam with many records have been confirmed as: Great Pink largest bell Vietnam; Buddha statue high and heaviest bronze Vietnam; The temple has the bronze statue; The Three largest Vietnam; The temple has the largest wells Vietnam; The temple has many stone Arhat statues in Vietnam. 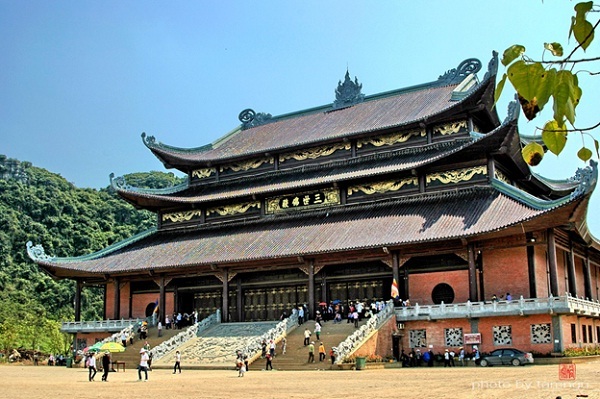 Bai Dinh Pagoda became a glittering jewel, colorful, legend of spiritual thousand years. 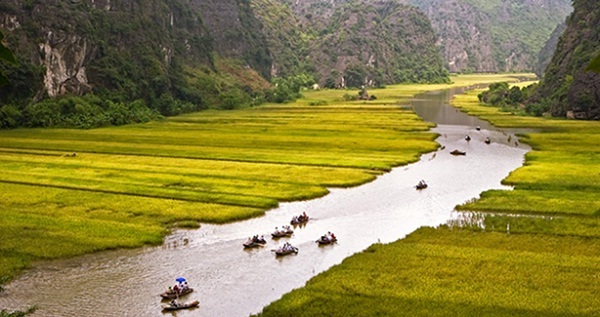 This is the destination you must visit in Ninh Binh. 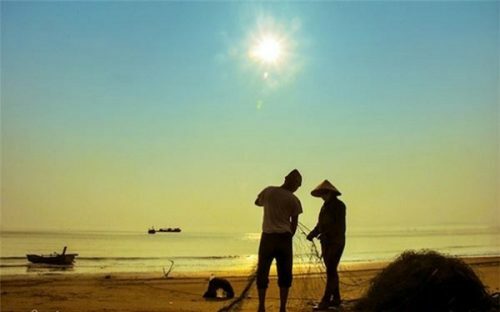 More than 120 km away from Hanoi to the southwest, 22,200 hectares of forest area, of which three-quarters is high limestone from 300m to 600m above sea level. Cuc Phuong has about 71 species of mammals, 320 birds, 40 reptiles, over 15 amphibians, many precious animals such as bears, horses, wild boar, newspapers. 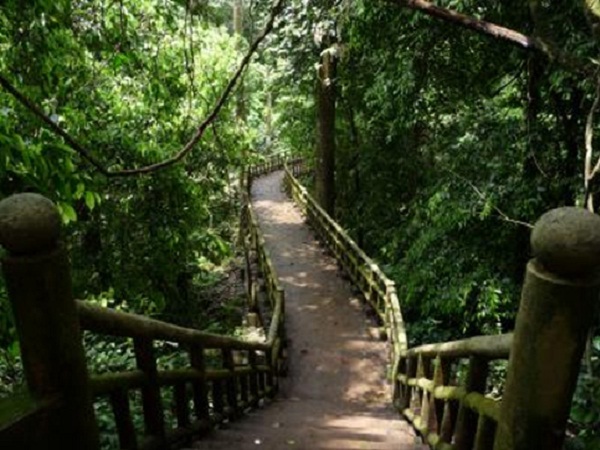 There are semi-natural breeding areas to conserve some species: deer, squirrel, golden monkey. Cuc Phuong is a convergence of many species of insects, hundreds of strange birds. All of them are beautiful and rare. 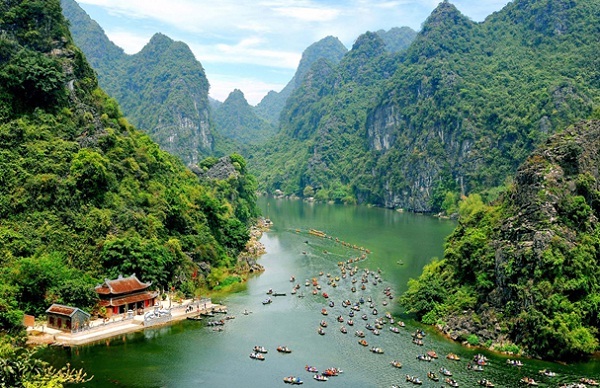 Far from 7km to the city of Ninh Binh, Trang An is ecotourism explore interesting caves and the cultural history of Ninh Binh, an area of ​​1961ha includes over 30 valleys, 40 caves regular stretching over 10km from north to south with many historic sites associated and the ancient capital of Hoa Lu. All these monuments have become attractive tourist destinations and foreign tourists. Hope you will enjoy your trip with above destinations in Ninh Binh.